I think it’s time to go back to school. I know CoatiMom wants to learn more about photography. 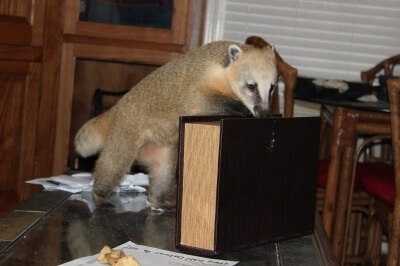 I think i will go with her, since I am the only CoatiKid smart enough to learn to read. 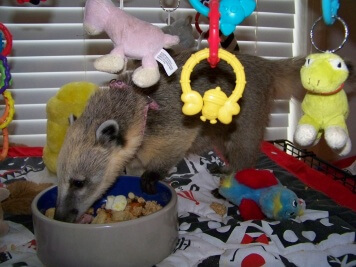 Trust me, the other Coatikids will never be as smart as me! I also know if people learned more about the wildlife around them they would stop hurting them. Sometimes it’s an accident done by people who loved animals too much and don’t really know how to do whats best for them. Sometimes is just mean people. Either way education is very important. I am not pleased, just beautiful…. 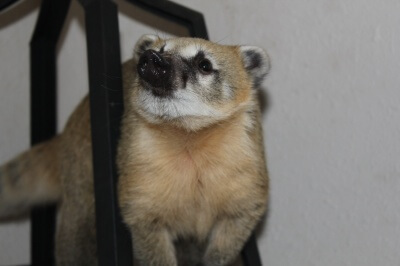 Coatimom has been sick for a few days now. All of us kids talked about it and we wanted to get her a card, but none of us knows how to drive the car, and we don’t have any money. With that in mind we just got her a card online. 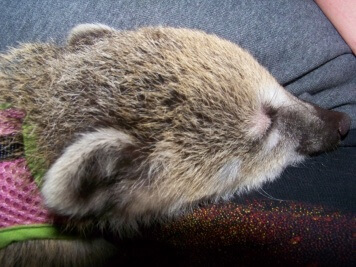 We hope you feel better soon Coatimom. We luvs you! Author BonniePosted on December 10, 2010 September 7, 2014 Categories Bonnie's Boudoir1 Comment on Get well soon! 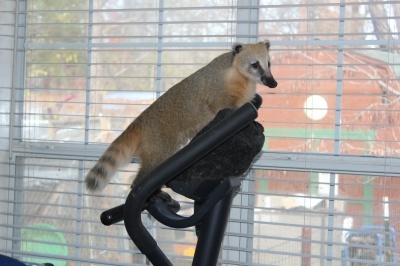 Pardon me while I have my morning workout on the treadmill! A girlish figure like this must be maintained. I know I am naturally beautiful…now turn up the radio!!!!!1. 2. 3. Clyde’s idea, my hard work! 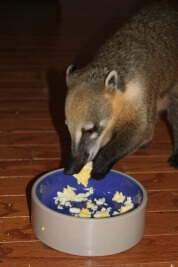 While Clyde had this bright idea to help CoatiMom clean house. He forgot to mention his idea of helping was supervising and having breaks and taking all the good credit for my hard work..Yeah, he spent most of the time eating scrambled eggs and watching me do all the work.. Author BonniePosted on December 6, 2010 May 25, 2017 Categories Bonnie's Boudoir1 Comment on Clyde’s idea, my hard work! Don’t all beauty Queens get Crowns? I think mine should be made of Peppermints…….It has been a most trying day and I deserve that crown. 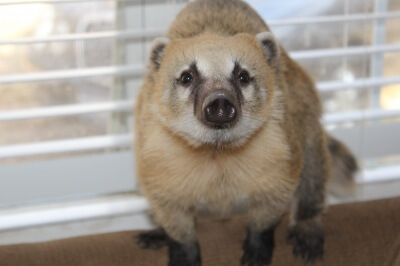 CoatiMom was feeling under the weather and Clyde was very quick to get us both in trouble…. So, after our Sunday brunch and some play time we spent most of the day in our room…What am I going to do with Clyde! He is never going to learn not to break and spill things. He is such a little mess maker.. What’s a Diva like me supposed to do now….. Author BonniePosted on December 5, 2010 May 25, 2017 Categories Bonnie's Boudoir1 Comment on Where is my Crown! Just a few pics for you my loyal subjects to admire of me. These are from my young teen years. Isn’t my beauty just breathtaking? 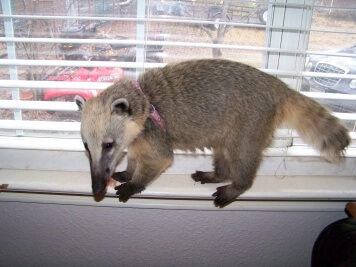 I love you Coati Daddy!!! 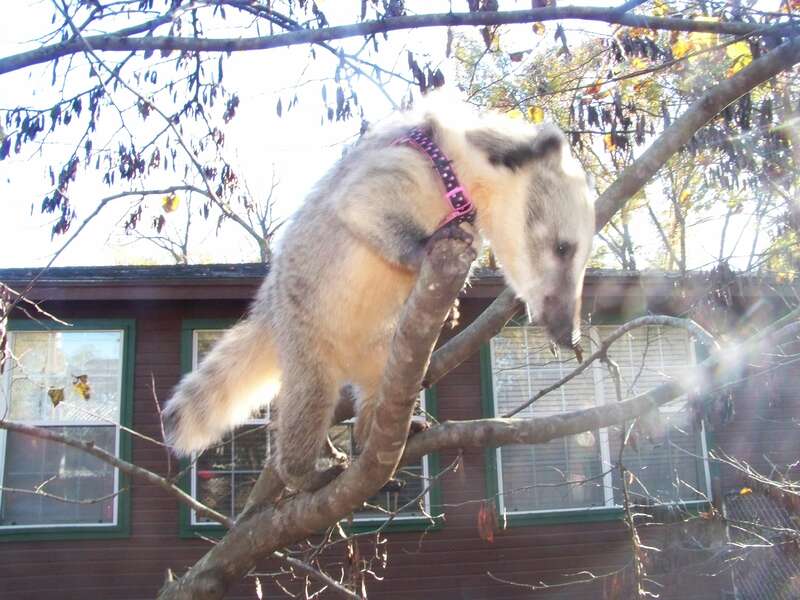 Author BonniePosted on December 1, 2010 May 25, 2017 Categories Bonnie's Boudoir1 Comment on I love you Coati Daddy!!! 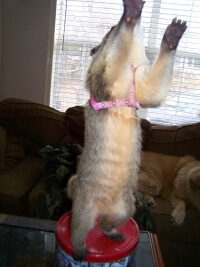 My name is Bonnie and I am the queen of all Coatis. I am the matriarch in this manor. Clyde is my brother. We have been together our whole lives. Clyde is very loyal to me, but somewhat of a food hog. However, I keep him in line. Then along came Lucky. He is a brat. I am quick to keep him in line. Lucky knows who is boss. Then there is Raven. She is not to be trusted either. I have heard rumors she is trying to take over my throne. Do keep on eye out for me, won’t you? Anyone can plainly see I am the most beautiful, talented and intelligent of the bunch. I am also Daddy’s girl. It’s good to be the favorite!